Over 500 of you answered the survey I posted last month. Thank you so much for answering my questions. I will admit, that there were some surprises in the answers. At least to me. But that's why I did it, to get a better handle on who actually reads here. 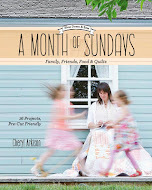 I've got no plans to go anywhere, but I want to make sure my readers get what they hope for - at least most of the time. 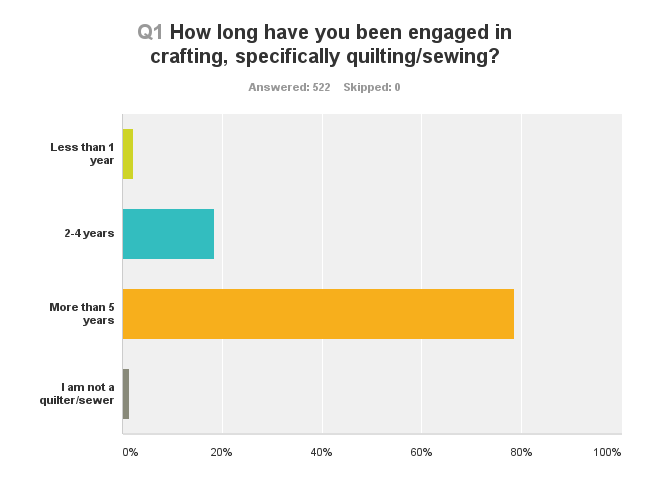 There were all the stats - where you live, how long you've been quilting - but then there were your comments. And the comments were wonderful. I had an awful week last week and was feeling quite down in the dumps. 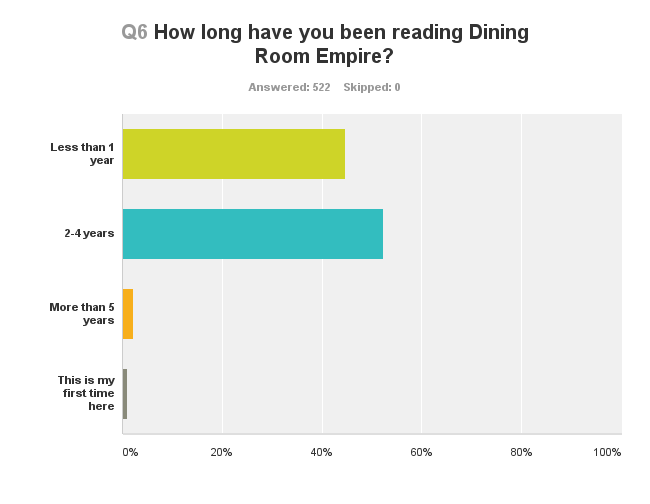 Then I read the survey results and all your comments about finding your way to my little Dining Room Empire. You guys... you made me cry. And you fortified me for the next steps forward. So here are some of the fun stats about you, my awesome readers. 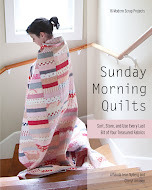 It is good to know that the overwhelming majority of your are sewers and quilters. 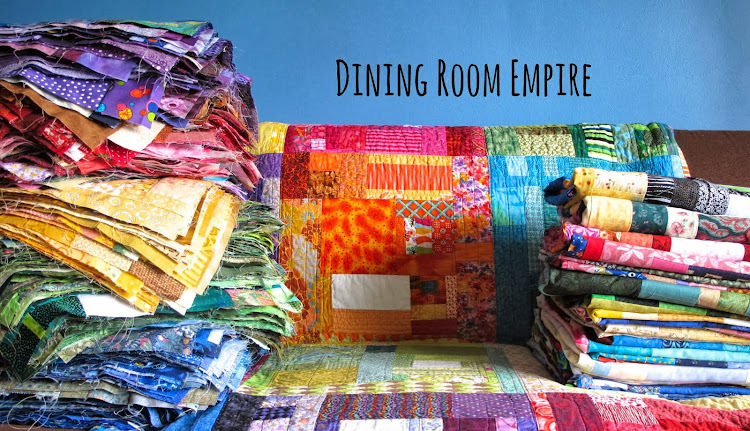 I know you'll never get bored with my quilts. Well, unless I start showing nothing but plain patchwork. I must admit, you are an older audience than I expected. Considering that I, myself, am nearly 40, I shouldn't be surprised. It' a good thing my propensity for swearing doesn't come out in my writing. I guess this means you like when I post about sewing and creating with my kids? Actually, there were a number of comments that you do. But if so many of you have kids in your life, then this is good content that I will continue to add. 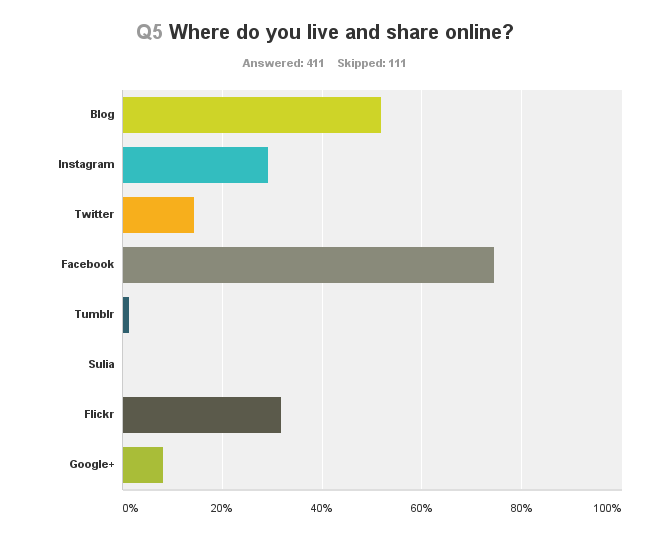 Half of you have blogs! That's awesome. I try to get around and visit my readers when I get through comments. If I've not been to visit you before, know that I'm not being rude. Just busy. (Oh, and I will tell you that this blog will likely never be on Facebook. I keep that for family and close friends only.) But I do love Instagram and Twitter, so if you are on there, please find me. I try not to duplicate content between here and there, so it is another snippet of my life. Possibly, just maybe, a more sarcastic one. My handle on both is @cheryl_arkison (with capitals on Twitter, without on Instagram). Thank you faithful readers. And thank-you to the more recent arrivals. It seems many of you came from the Just One Slab project and that makes me so excited that you stayed after lending your support and blocks. Okay, so statistically this is a mess of information, but I dislike ranking in surveys. I wanted to see it all! The great thing about this info is that you seem to like the parts best that I like doing. How wonderfully convenient. Again, thank you for participating. I really appreciate it. I promised a giveaway thank you treat or two. I will be drawing names from all the comments and contacting folks in the next few days. And let me be clear: I am not going anywhere. I love this space and I love sharing with you. But a redesign and freshen up is in order. Consider it a makeover, I've had the same haircut for years and it is time for an upgrade. Your information bolstered my spirit and is informing the makeover. And I promise, nothing too crazy! Cool. Following you on instagram. So glad you are NOT going anywhere. And I laughed about the swear words comment. I am of the older group of folks following you, have four older brothers and married to a sailor for 37 years. I think you have some competition in the language locker!! 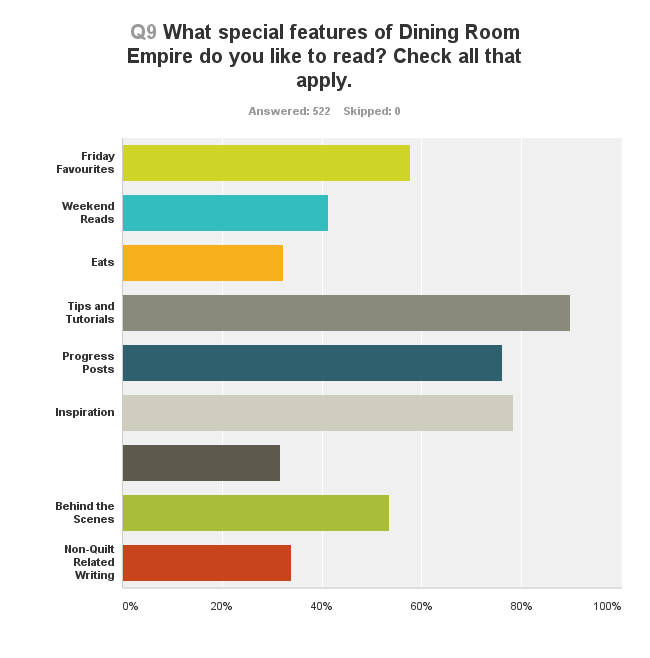 Very interesting to see the results of your survey. I have enjoyed reading both your blog and books this past year or so and will look forward to your makeover. 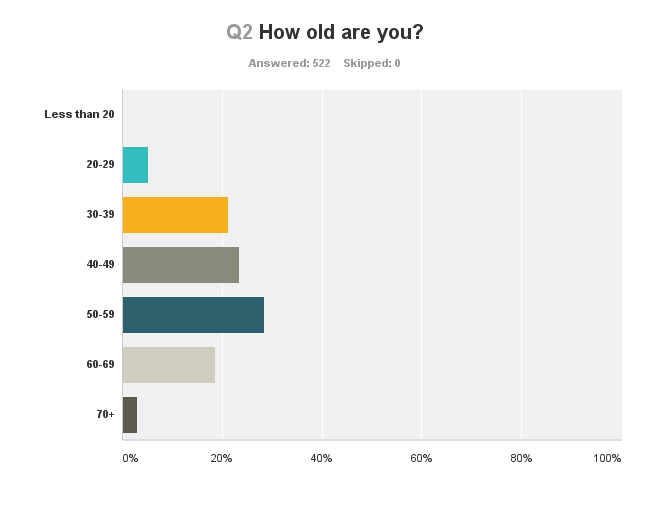 Thank you for sharing the survey results. So often one doesn't get to see them. And glad that you are just going to spiff things up a bit. Love you blog and your books. Excited to see the changes! So much you young mamas accomplish. 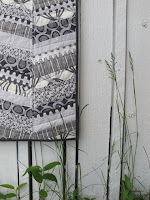 Keeping quilting alive to next generation! Interesting stats! 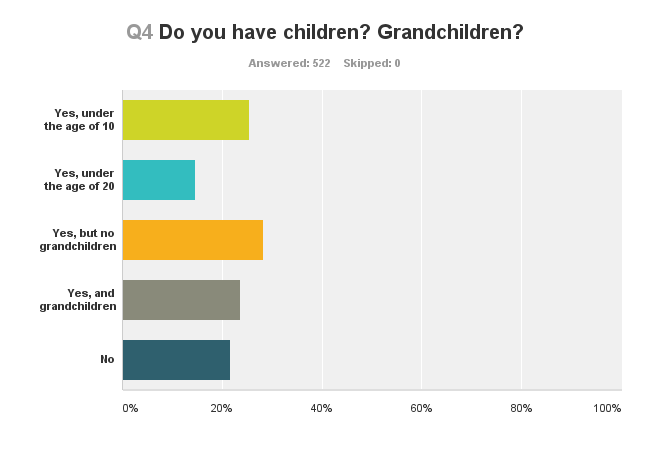 I'm surprised too about the age group, but I fall into that to 59 group, for a while anyway. Thanks for sharing!